This month we pay tribute to the horses, mules and donkeys on the 100th anniversary of the end of WWI. 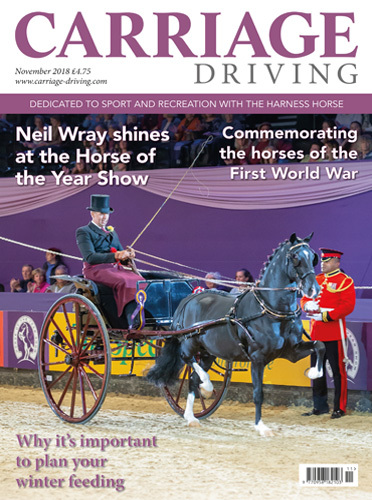 We have a report from the Horse of the Year Show, where Neil Wray and Plains Royalty claimed the Steve Dent Horse and Carriage Championship. 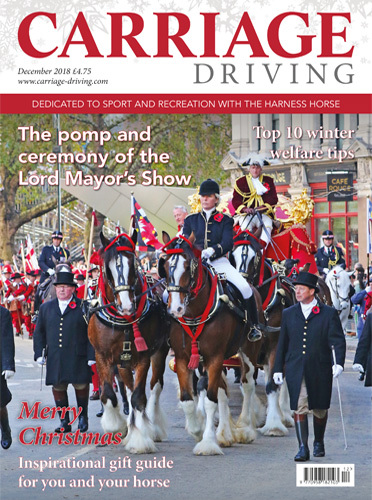 We meet Stan Harris from T Cribb and Sons, and discover a true gentleman who is proud to be able to share a world where horses remain at the heart of their family business. 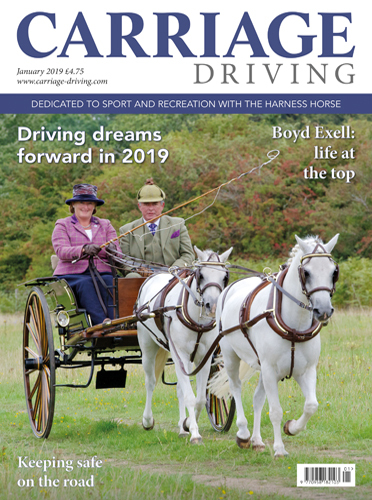 There is a full report from BDS Driving Addington and Susan Dunne meets with Joanne Parrett, who works tirelessly to raise the profile of carriage driving with donkeys. 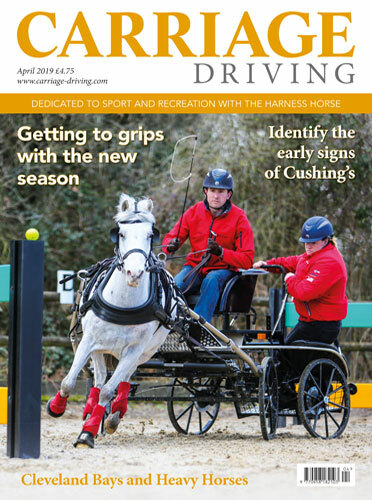 Charlie Parker-King is our scurry driver in profile, and Rowena Moyse explains the benefits of lunging. 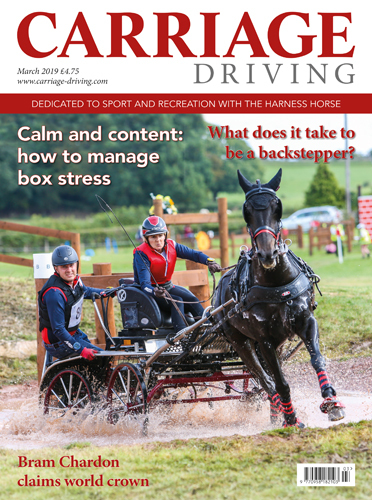 In our Health and Welfare feature, we look at the importance of putting a winter feed plan in place. 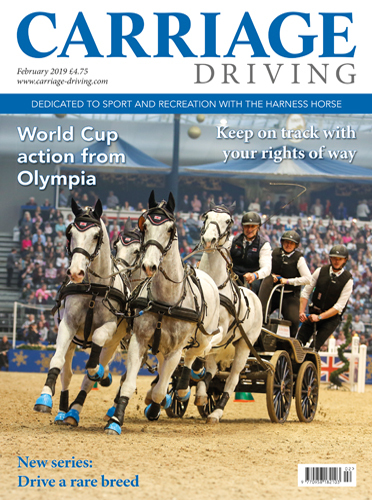 We also have the latest news from British Carriagedriving, the British Driving Society, Scurry, Coaching and a full report with details of all the winners from the Hackney Horse Society Championships.